Our wonderful and loving mother, grandmother, and great-grandmother passed away peacefully on June 30, 2008. Jeanne was born on Jan. 19, 1924, in Hotchkiss, Colo., to William H. and Lucy Lauck and led a very happy and active childhood growing up the youngest of six children. Jeanne was raised in Palisade, Colo., where her family had a farm and peach orchard. 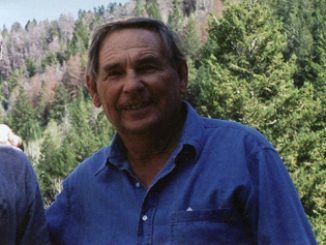 Her father, William was also the first agriculture extension agent for the state of Colorado and he served all of Mesa County. She attended public schools in Palisade, Colo., and later attended Mesa Junior College in Grand Junction. Jeanne married Don Longley soon after Don left the Navy at the end of World War II. They lived in Nogales, Ariz., for a few years when Don worked for the U.S. Border Patrol. They moved to Meeker in 1947 and purchased a grocery store with Tom and Opal Murray. The store was known as Tom & Don’s Grocery, and was located on Main Street in Meeker. Later Tom Murray opened his own grocery store, which was known as Tom’s Market, and Don and Jeanne continued to own and operate Don’s Market at the same location on Main Street. At that time Meeker was a “three grocery store town,” as Harry Watt also had Watt’s Ranch Market on Market Street. Don and Jeanne added Sportsman’s Processing to the basement of the grocery store and processed deer and elk for the many hunters that used to always come to Meeker each hunting season. Jeanne and Don continued to run the grocery store and meat market in Meeker for many years and employed many local friends and kids in their store during the nearly 25 years that they were in business in Meeker. Jeanne and Don raised their three kids, Larry, Cindy and Janette in Meeker and were always active in civic activities. Jeanne was an active member of ESA, and Don was a very active member of the Meeker Volunteer Fire Department. They were also members of the St. James Episcopal Church. They built one of the very first homes up on the hill, on the north edge of Meeker, at Fifth and Pine streets. Later they built a home at Fifth and Cedar, on the lots in front of their first home. During this time the neighborhood had grown significantly, and they had many close neighbors that enjoyed the time in Meeker working and playing together. Jeanne and Don were later divorced, and in 1969 Jeanne relocated to Corvallis, Ore., where she worked for the registrar’s office at Oregon State University. Jeanne enjoyed living in Covallis for many years, making many close friends there. During Jeanne’s years in Corvallis, all of her three children also attended and were graduated from Oregon State University. After retirement, Jeanne moved to Sun City, Ariz., where she enjoyed many years of traveling in her RV, and visiting friends and family. She made friends wherever she went, and always loved to find adventure wherever she was. She was a very capable and independent lady, and traveled with her RV by herself well into her 70s. Jeanne is survived by her three children; Larry Longley, Cindy Fisher (Randy), and Janette Diegel (Paul); her grand-children Emily Buscema (Jason), Joanie Lee (Ben), Ken Longley, Kevin Fisher, and Courtney Fisher; and her great-grandson Isaac Buscema. A memorial service will be held at 1 p.m., Saturday, July 26, 2008, at the Church of the Good Samaritan, 333 NW 35th St., Corvallis, Ore., 97330 ; reception to follow. In lieu of flowers, donations can be made to OSU Foundation, specify Jeanne Folck; or to the Church of the Good Samaritan for her memorial flower garden and children’s choir music. Obituary: Chester Elmer Long Jr.
Jan. 25, 1932~June 15, 2009 Chester Elmer Long Jr. passed away Monday, June 15, 2009, at the age of 77. 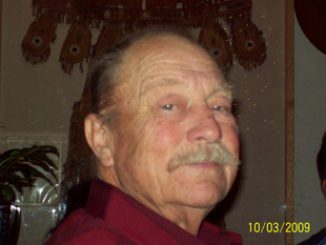 John Edward Orris, Sr., 72, died Saturday, Oct. 3, 2009, in Durango.